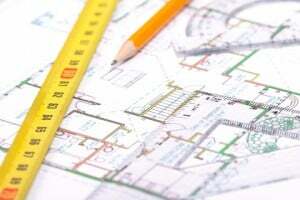 Planning to remodel, repair, or build new? Read this first. Construction is expensive when things go right. When things go wrong, it can be financially devastating. Licensed, bonded, and insured is a term used loosely in the construction industry and therefore it is important to understand these basics of construction contracting. Contractors generally have two types of licenses, a professional license and an occupational license. Whereas a professional license pertains to an individual, an occupational license pertains to a business. A professional license, if required by the state, can help you gauge a contractor’s competency. This is important because if a repair, remodel or new construction is done incorrectly, you may be harmed. Insurance is important because it can protect you from loss that may occur as a result of your construction project. Contractors should carry both workers compensation insurance and general liability insurance. Whereas workers compensation insurance covers the employees of a company, general liability insurance covers the public affected by a company’s operations. If insurance is not in place, an injured person may seek reimbursement from you and others to pay for medical expenses. Even if the claim is frivolous, you will spend time and money to refute the claim. Both insurances cover other losses as well. Construction can be a joyful experience as you watch your dreams become a reality. Hiring a qualified and reputable contractor will help improve the odds of your success. Kia Ricchi is a Florida-licensed building contractor and author of the book Avoiding the Con in Construction. Her book has won two national book awards and covers topics such as contractor licensing, insurance, contracts, permits, and liens. For more information about construction contracting, visit www.thecontractress.com. See our feature, 6 Ways to Boost Curb Appeal.